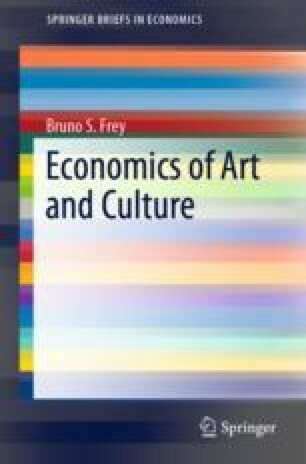 The economic approach to art and culture takes a rather positive attitude towards copies, reproductions, and fakes. In contrast, the art-historical view tends to regard them in a negative way. The multiplication of the original creates utility for individuals demanding and paying for replicas. However, forgeries do create some problems. Significant costs are created on both the demand and supply sides of a market by both originals and copies. But many such problems can be mitigated or even overcome by appropriate legal constructs and institutional arrangements.